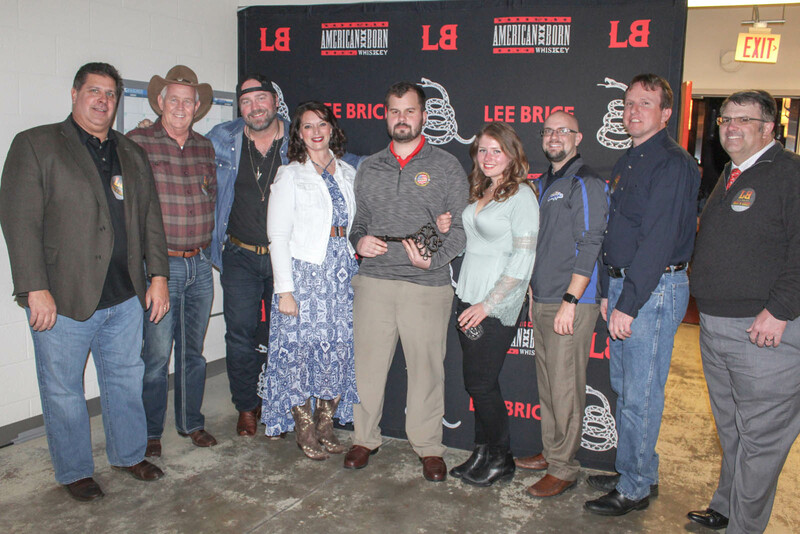 🎖️🚨😍 Walmart, Dr Pepper Snapple Group and Military Warriors Support Foundation honored Retired US Marine Corps Corporal James “Tucker” Faddis during the Lee Brice concert at the Carson Center – Paducah, KY on January 26, 2018. Cpl. Faddis, was presented with a ceremonial key to his brand new, mortgage-free home at the concert. Tucker served our nation with honor and distinction, as an Infantry Machine Gunner and was deployed to Afghanistan in support of Operation Enduring Freedom. In 2011, Tucker’s unit was on patrol when they came under fire. Corporal Faddis is the recipient of the Purple Heart, a medal awarded to those who are physically wounded by enemy fire, during a combat operation. Dr Pepper Snapple Group’s sponsorship of the MWSF helps place combat wounded heroes into mortgage-free homes and assists with rebuilding their lives. We extend a special thank you to Walmart for being an active sponsor of this program, by carrying Dr Pepper Snapple Group’s products in their stores and supporting our nation’s heroes.